HOW DO I KNOW HOW MUCH MULCH I NEED TO ORDER? Simply multiply length and width of the area to get the square footage. A 3 cf (cubic foot) bag of mulch will cover 18 square feet at 2” deep. A 2 cf (cubic foot) bag of mulch will cover 12 square feet at 2” deep. "Mr. Mulch" company supplies and delivers all the mulch. HOW DO I KNOW THAT MY PLAYER GETS CREDIT FOR MY ORDER? Make sure you add the players' name in the ORDER COMMENTS section. HOW DO I ADD MORE THAN ONE BAG IN MY CART? You can either click ADD MORE to add one more bag at a time in your cart until you reach your desired total. Or, once you've added a bag to your cart, simply go to CHECKOUT and use the arrow to indicate your total number of bags. WHEN WILL MY MULCH BE DELIVERED? STANDARD PROGRAM: For all orders with payment completed by March 7th, delivery will start as orders are processed with target completion by May 1st. Weather dictates the speed of completion for Mr. Mulch. The nicer the weather the longer it will take to complete. LATE ORDER PROGRAM: For all orders after March 7th and before June 1st, delivery will begin on June 1st with the target completion date of July 1st. Again, weather dictates the speed of completion for delivery --the nicer the weather the longer it will take to complete. Unfortunately, exact delivery dates cannot be guaranteed. So be sure to order early to get your mulch earlier this spring!!! WHERE EXACTLY WILL MY MULCH BE DELIVERED AT MY HOUSE? IMPORTANT! Default delivery is curbside placement of the bags. Alternate instructions may be included in the ORDER COMMENTS. Please specify “LEFT”or “RIGHT” side of the driveway looking from the street and “TOP” or “BOTTOM” closest to the street. WHO DO I CONTACT IF I HAVE A PROBLEM WITH MY MULCH DELIVERY? WHAT IF I WANT TO ORDER BY MAIL AND PAY WITH CHECK? No problem! Actually if you pay by check, the price per bag is slightly less than the online price. 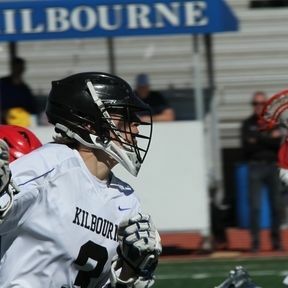 Find the MAIL ORDER FORM on the front page of www.Kilbournelacrosse.com Mail the completed order form and payment to: Worthington Kilbourne Boys Lacrosse,1499 Hard Road, Columbus, OH 43235 Checks should be made payable to “KilbourneLAX Parents’ Club”. Please make sure to note the players’ name on the comment section of your check so they get credit for your purchase. WHY IS THE ONLINE PRICE MORE EXPENSIVE? The credit card companies charge us a convenience fee. We have to add a slight increase to the price to cover the charges we incur from the bank. Orders after March 7th will pay an additional premium. WHO DO I CONTACT IF I HAVE ADDITIONAL QUESTIONS OR WANT TO PURCHASE MORE MULCH? WKHS Boys Lacrosse has a proud tradition of success both on and off the field, including winning two State Championships (2009 & 2016) and a long heritage of community service through our “Man-Up” volunteer projects. Last year the Kilbourne Wolves finished the season in the Final Four in Division I. This is our 27th year selling mulch as our primary fundraiser for the program. We greatly appreciate your support to help continue to fund the program and give the boys the opportunity to compete, learn and grow through playing the great sport of lacrosse.